What could be better than a massively discounted Samsung Gear Sport or Gear S3 smartwatch in “new other” condition? How about one of those Apple Watch-rivaling bad boys at an unbeatable price without an asterisk next to its name? Enter Fry’s Electronics, a retailer that made headlines with a few interesting Galaxy S9, S9+, and Galaxy Note 9 deals on “Turkey Day” and “Black Friday”, wrapping those up to introduce big Cyber Week savings on PCs, components, TVs, cameras, smartphones, and you guessed it, wearable devices. The Samsung Gear Sport is technically available for $179.99 all week long, representing a $100 markdown on the gadget’s list price, but by simply subscribing to a newsletter, you can save an additional 30 bucks. The promo code you’ll receive by e-mail will reduce the Gear Sport to $149.99, which is a new all-time low price for an all-new unit at a trusted US retailer. Currently, both Samsung and Target are charging $179 for the swim-proof smartwatch, also planning to end the Cyber Monday deals before Fry’s. 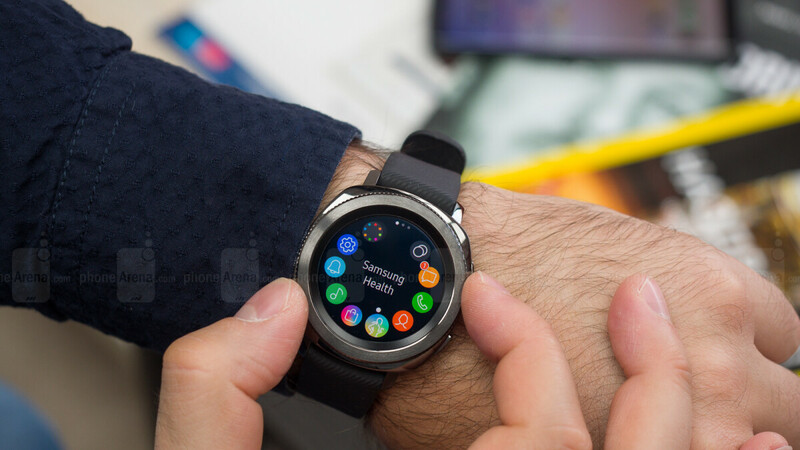 Apart from the love-or-hate design, there’s very little that separates the Samsung Gear Sport from the slightly older, arguably prettier Gear S3. Otherwise put, the Gear Sport’s specs are great... for that $149.99 price, including everything from a sharp 1.2-inch Super AMOLED display to built-in GPS, Wi-Fi, Bluetooth 4.2, a relatively long-lasting battery, a heart rate monitor, NFC, 768MB RAM, and 4GB internal storage. Fry’s Electronics has a few other interesting deals valid until December 1 (or while supplies last), including a $200 Moto X4, $200 Samsung Gear S3, $240 Sony Xperia XA2, $120 Samsung Gear Fit2 Pro, discounted Galaxy Note 9 with AT&T installment plans, and $260 iPhone 6s.